The Index used three sub-indices adequacy, sustainability and integrity to measure 34 country's retirement income systems against more than 40 indicators. Measuring 34 pension systems (34 countries), the Index showed that the Netherlands and Denmark (with scores of 80.3 and 80.2 respectively) both offer A-Grade world class retirement income systems with good benefits - clearly demonstrating their preparedness for tomorrow's ageing world. Meanwhile, countries with the highest value for the adequacy sub-index are Germany (79.9) and France (79.5) with Mexico (37.3) and India (38.7) having the lowest values. However, common across all results was the growing tension between adequacy and sustainability. This was particularly evident when examining Europe's results, it said. Denmark, Netherlands and Sweden scored A or B grades for both adequacy and sustainability, whereas Austria, Italy and Spain scored a B grade for adequacy but an E grade for sustainability thereby pointing to important areas needing reform, it added. Further, it found that India continued to maintain its level of 2017 in the sub-indices of sustainability and integrity though the overall index value fell marginally from 44.9 in 2017 to 44.6 in 2018 due to the change from using the median income earner to the average income earner to calculate the net replacement rate in the adequacy sub-index. 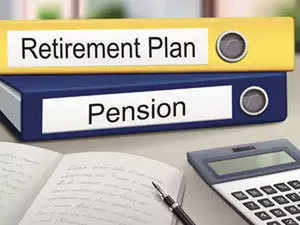 The demographics and macro-economic factors in India are diverse and pension systems have to be aligned to other programmes in the country, it said. Author of the study and senior partner at Mercer Australia, David Knox said that the natural starting place to having a world class pension system is ensuring the right balance between adequacy and sustainability. "It's a challenge that policymakers are grappling with. For example, a system providing very generous benefits in the short-term is unlikely to be sustainable, whereas a system that is sustainable over many years could be providing very modest benefits," he added.